Save your best hand crafted wine for the bride and groom. Customize their names and date right on the bottle and add your gift to the bottle. 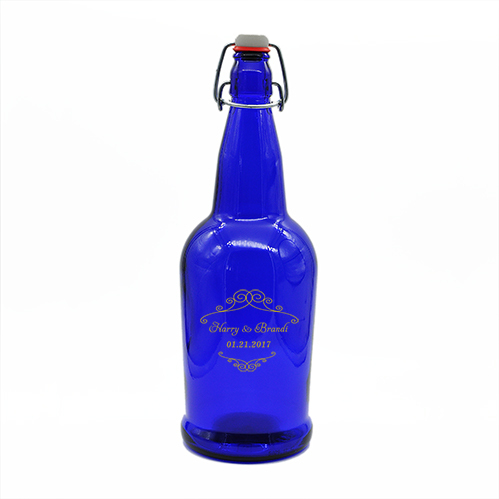 Spirits seem to bring people together and when you need a special customized gift for the next happy couple, this 1 liter cobalt blue growler is a great way to share in the festivities. Add your home made beer or wine and you have the perfect wedding or anniversary gift. Comes with a tight swing top lid. Choose a natural etched look or color fill with red, white or gold.